Vrinda is a program associate at the Pisces Foundation, focusing on the Climate and Energy Program. Prior to joining Pisces, Vrinda worked at the Sierra Club, where she was a campaign representative in the organization’s International Climate & Energy Campaign. In this role, she campaigned against public spending for fossil fuel development overseas and advocated for increased investment in distributed renewable solutions to help achieve universal energy access. 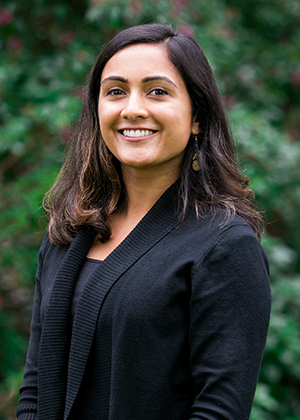 Vrinda has also worked as a research associate for the Environmental Law Institute, as a Herbert Scoville, Jr. Peace Fellow for the Natural Resources Defense Council, and as a field organizer for Organizing for America – Virginia. Vrinda has a Master’s of environmental management from the Yale School of Forestry and Environmental Studies, and a B.A. in liberal arts from Sarah Lawrence College.